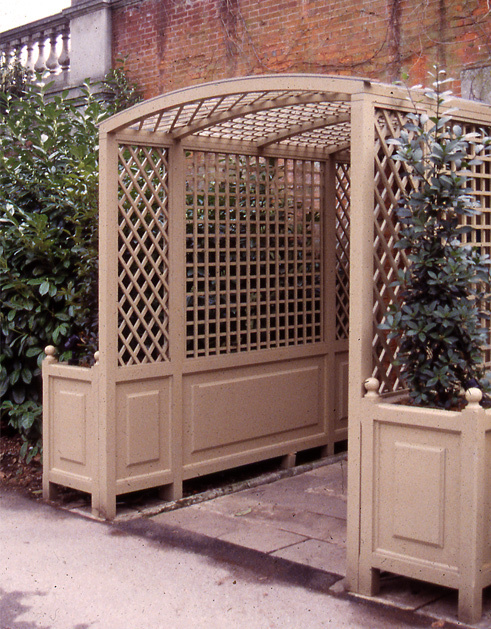 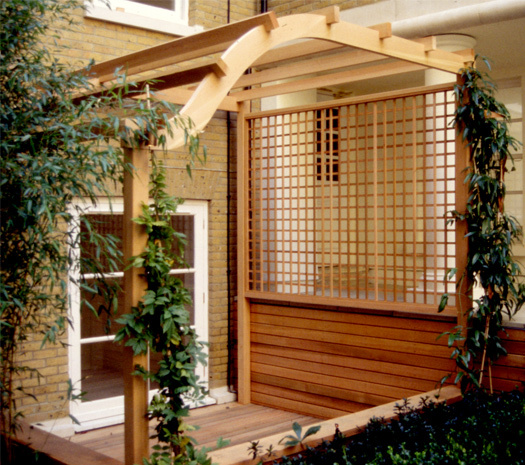 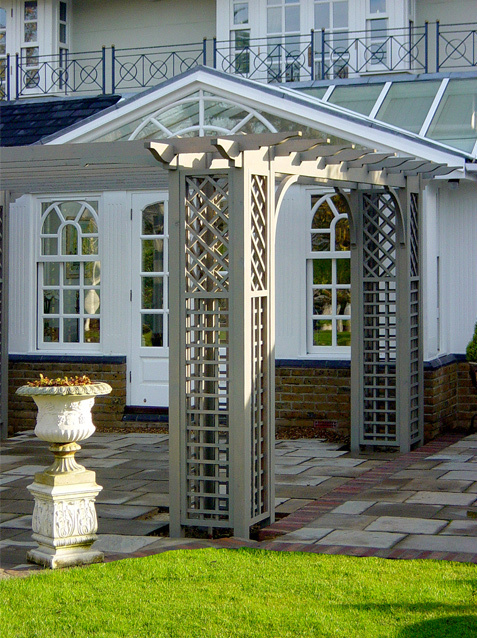 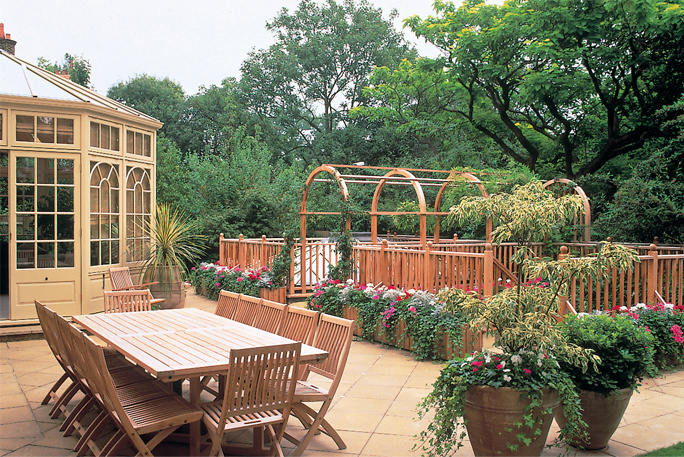 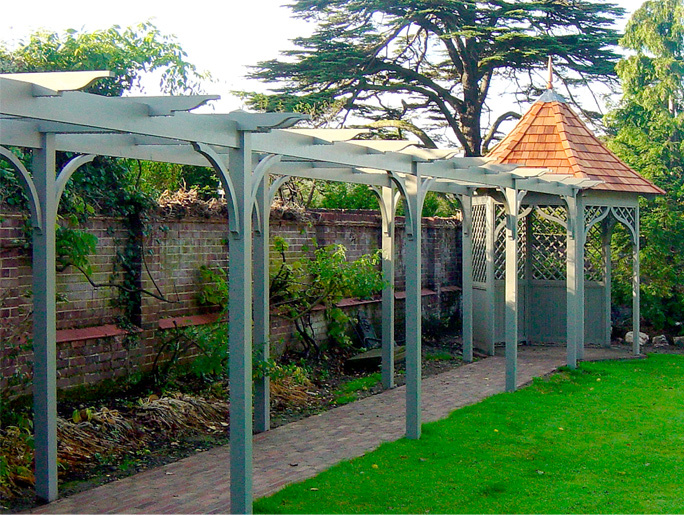 These traditional garden structures serve many purposes, but mainly provide shaded areas for sitting or sheltered walkways. 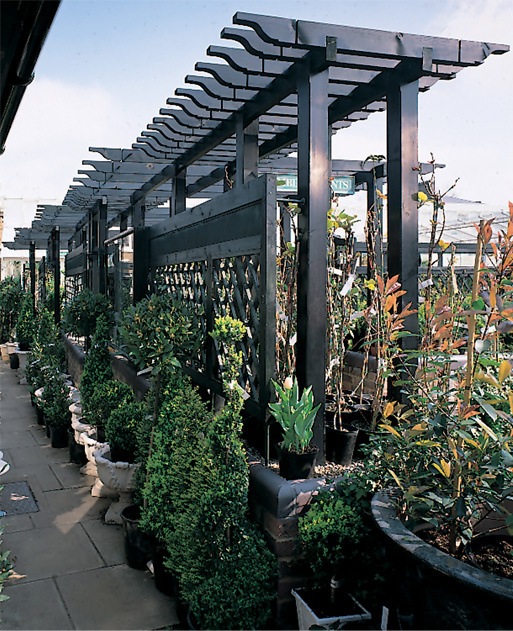 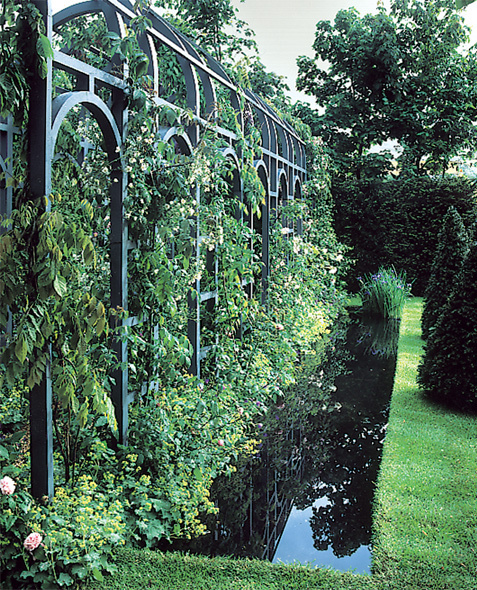 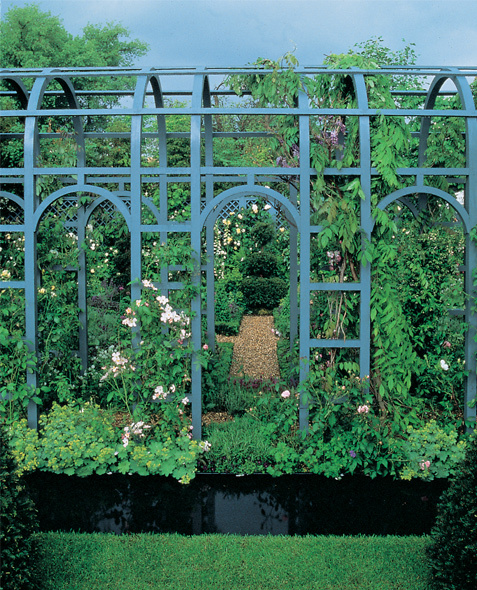 They are also the perfect support structure for a multitude of climbing plants; the atmosphere under a pleasantly scented sun-dappled pergola is rarely matched. 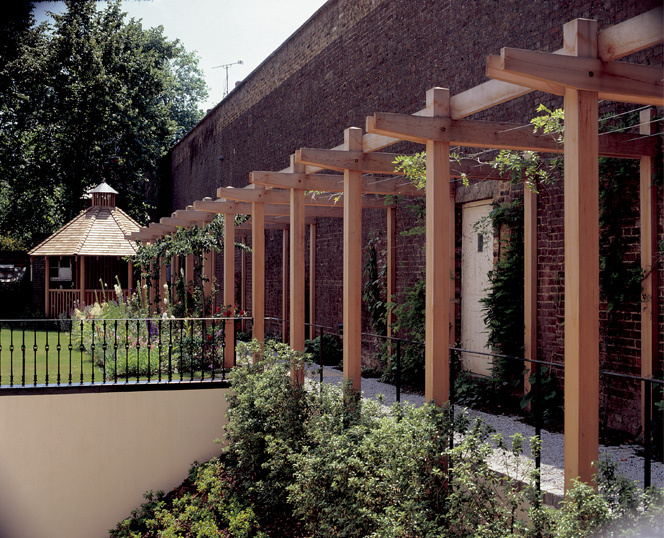 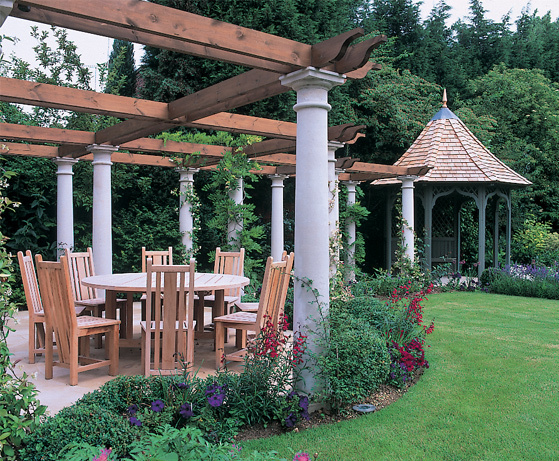 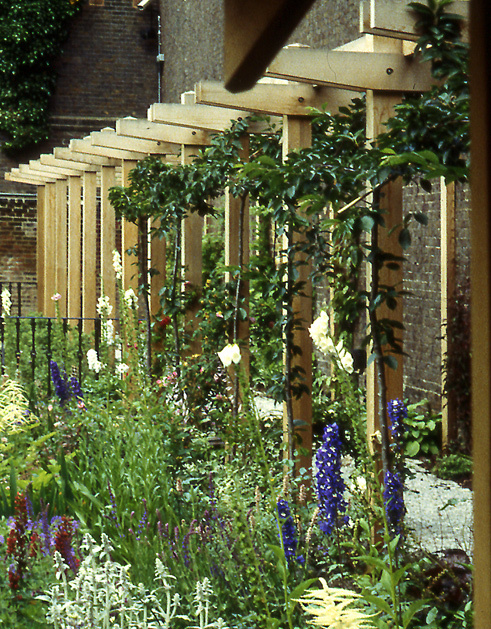 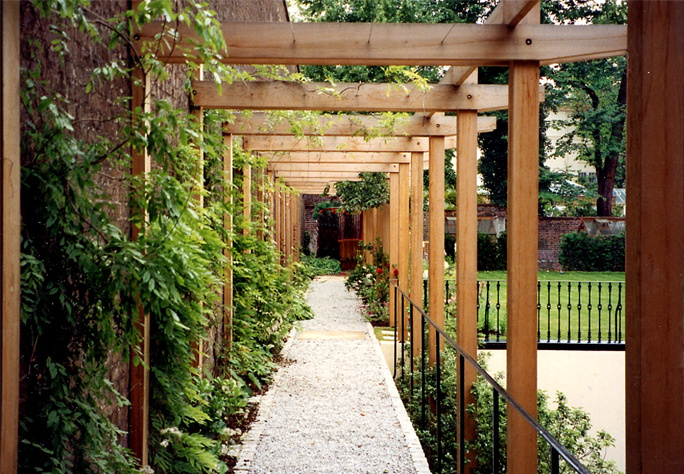 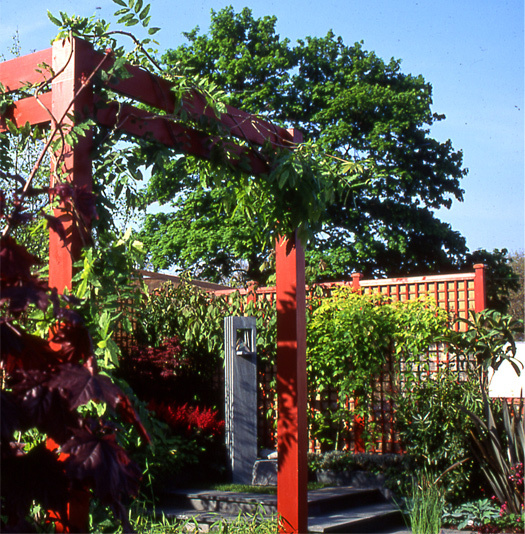 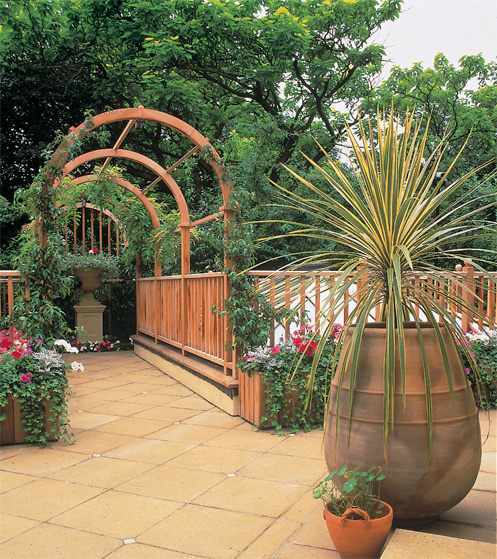 Lloyd Christie's Pergolas & Tunnel Arbours will add an important architectural element to the garden. 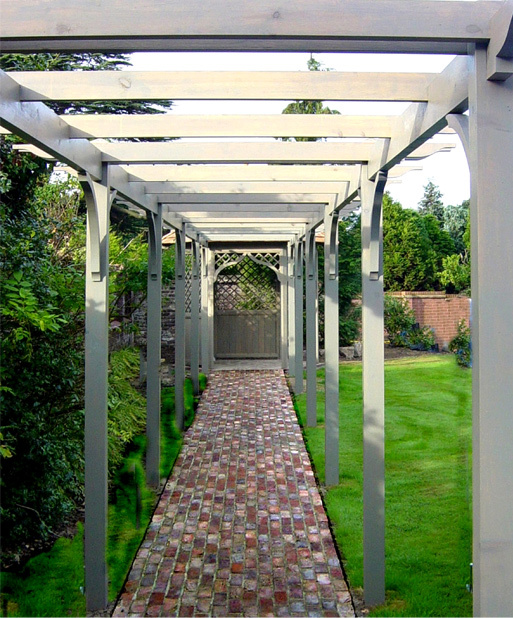 Designed as either freestanding structures in their own right or as shaded corridors, they can create new perspectives in a garden by focusing on or framing views.